Quality beer for the fine folks of Eastern NC! Voted Best Craft Beer in Greenville, 2017. 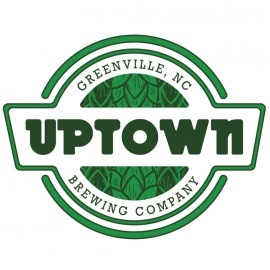 Uptown Brewing Company is a full production craft brewery located in the heart of Uptown Greenville, NC. 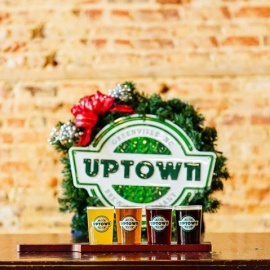 Our handmade beers include several classic styles offered year round and two seasonals, as well as rotating session IPAs, gluten free cider, and small batches unique to the taproom. Everything on tap is produced in house. Our brewery and taproom space is located in a historic, beautifully restored 90 year old building. From anywhere in the taproom, you have an open view of the brew floor! We want to quench your thirst with delicious, drinkable beer. We are fascinated with the evolution of the American craft movement, and we're proud to produce great beer for the fine folks of Eastern NC. 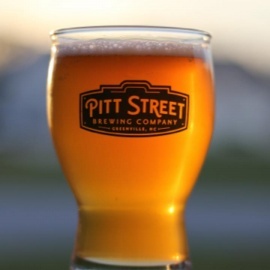 Please join us for a pint, or look for our beers on tap throughout Eastern NC! The Rickhouse is a American styled restaurant and bar. We specialize in hand crafted dishes and boast a bourbon collection of 40 plus bottles.